Launched in the UK in February, SOS Rehydrate is a new and cutting-edge hydration electrolyte drink, comparable to an IV drip in combatting mild to moderate dehydration. If your body is 2% dehydrated performance drops by 20%! SOS Rehydrate provides substantial hydration without the excess sugar found in the majority of leading sports drinks. PLUS it’s only 25 calories per 500ml serving! 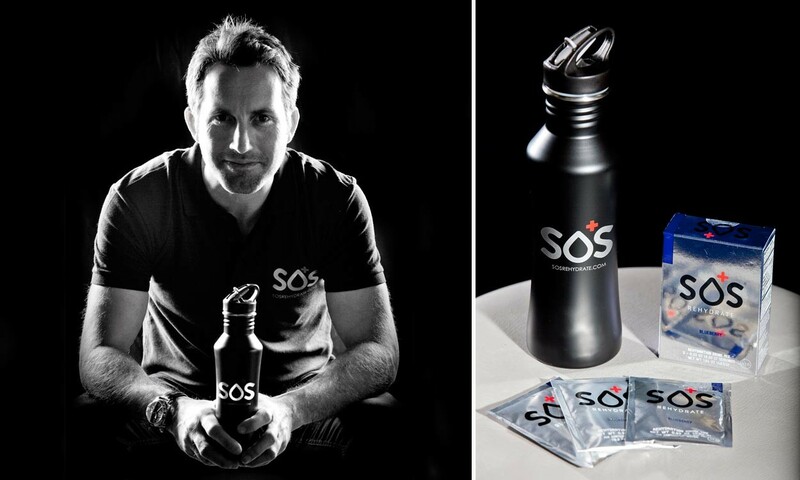 SOS Rehydrate investor Sir Ben Ainslie and BAR (Ben Ainslie Racing) are big fans of the product. To help celebrate the launch SOS Rehydrate have joined forces with AW to offers its readers a chance to win a month’s supply of this amazing new product in a product bundle worth over £50! For your chance to win two boxes of each of the exciting SOS Rehydrate flavours – blueberry and citrus – worth £8 each PLUS a trendy metal drinks bottle simply send the correct answer to the two questions below along with your contact telephone number and address to [email protected] by midnight on Monday April 21, 2014. Q1. What is the decrease in performance when your body is 2% dehydrated? Q2. Which four-time Olympic gold medal-winning yachtsman used SOS Rehydrate when competing in the America’s Cup in 2013? Winners will selected by prize draw and announced on April 24, 2014.